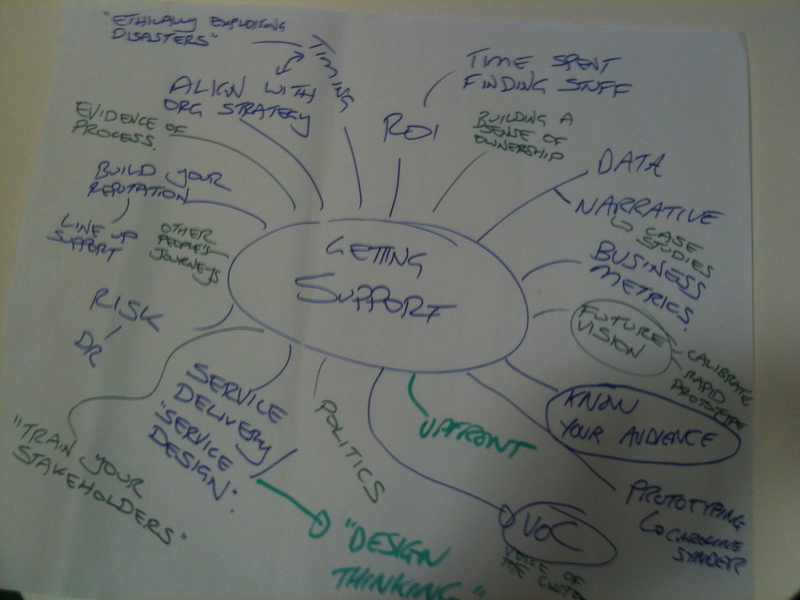 So many thanks to the attendees for today’s Information Governance World Cafe in Sydney. 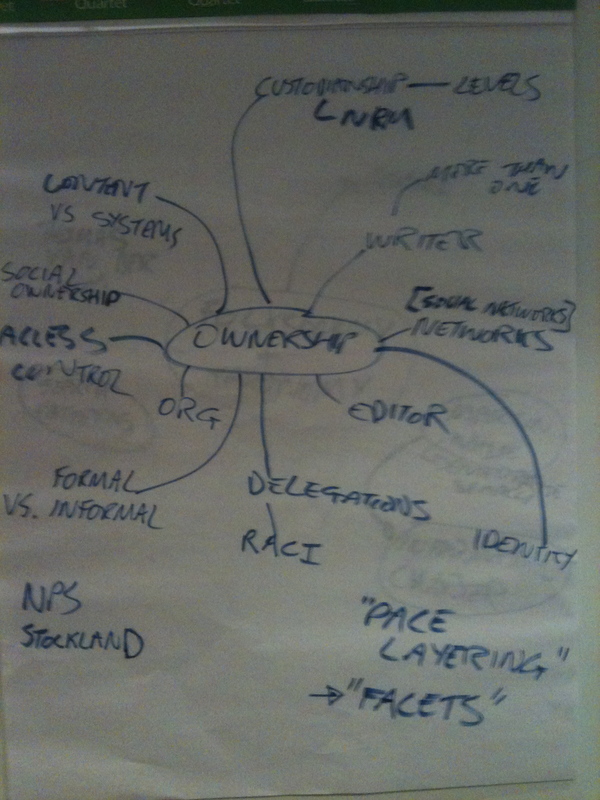 We began by individually noting down information governance issues and then mapped then against the Cynefin framework. 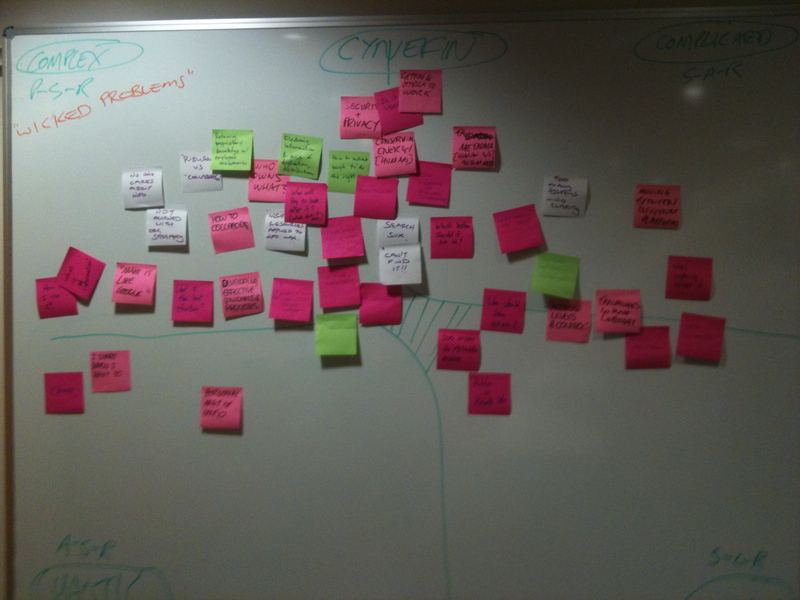 As can be seen, most of the issues were identified as being “complex”. N.B.Most of the attendees had information management roles. 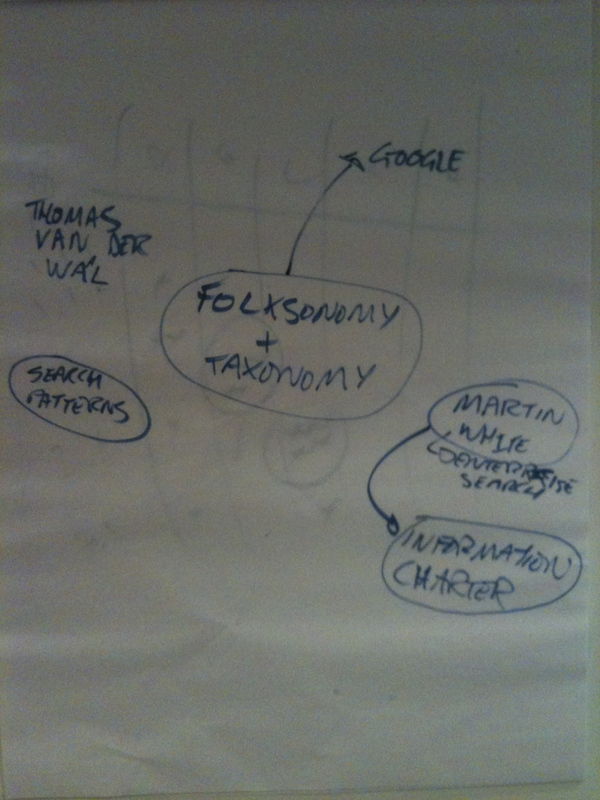 We then worked through some of the serious issues around “ownership”, “getting management support” and finally, “tools”. 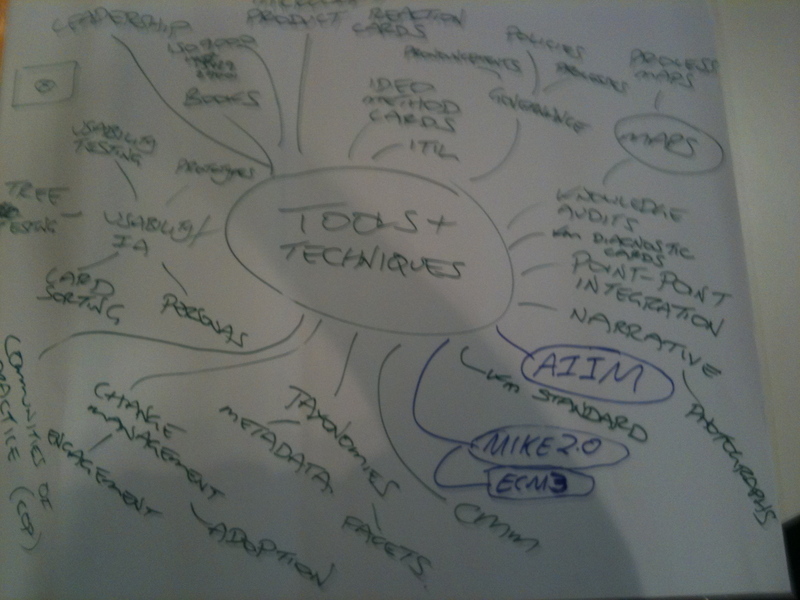 Some further resources: ECM3, AIIM, Information Ecology. This entry was posted in Projects and tagged information governance. Bookmark the permalink.